His appearances on over 2,000 albums make him one of the most-recorded bassists in jazz history. This list of jazz bassists includes performers of the double bass and since the 1950s, and particularly in the jazz subgenre of jazz fusion which developed in the 1970s, electric bass players. ECM (Edition of Contemporary Music) is an independent record label founded by Karl Egger, Manfred Eicher and Manfred Scheffner in Munich in 1969. While ECM is best known for jazz music, the label has released a variety of recordings, and ECM's artists often refuse to acknowledge boundaries between genres. ECM's motto is "the Most Beautiful Sound Next to Silence", according to a 1971 review of ECM releases in Coda, a Canadian jazz magazine. Winter & Winter is a record label in Munich, Germany that specializes in jazz, classical and improvised music. It was founded by Stefan Winter following the demise of his JMT Records label. The period from the end of the First World War until the start of the Depression in 1929 is known as the "Jazz Age". Jazz had become popular music in America, although older generations considered the music immoral and threatening to cultural values. 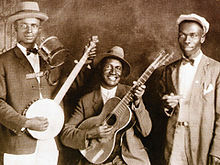 Dances such as the Charleston and the Black Bottom were very popular during the period, and jazz bands typically consisted of seven to twelve musicians. Important orchestras in New York were led by Fletcher Henderson, Paul Whiteman and Duke Ellington. Many New Orleans jazzmen had moved to Chicago during the late 1910s in search of employment; among others, the New Orleans Rhythm Kings, King Oliver's Creole Jazz Band and Jelly Roll Morton recorded in the city. However, Chicago's importance as a center of jazz music started to diminish toward the end of the 1920s in favor of New York. JMT Records (an acronym of Jazz Music Today) was a German record label founded by Stefan Winter. It was based in Munich, Germany, specialized in contemporary jazz, and operated from 1985 until 1995. ... that accordionist Vincent Peirani and pianist Michael Wollny, both multiple ECHO Jazz winners, recorded the "symbiotic" album Tandem? ... that the British jazz-funk band Jamiroquai gave a performance on an aircraft travelling at 1017 km/h (632 mph), setting the Guinness World Record for "fastest concert"? ... that through its Forum Arts Program, East Texas State College students had the opportunity to see Lyndon B. Johnson, Alex Haley, the Ballet Folklórico de México, and the Preservation Hall Jazz Band? ... that the figure of Jazz from the Transformers toyline Power of the Primes drew controversy because the text on its sticker, when translated from Cybertronian, spelled the acronym MAGA, associated with Donald Trump? ... that Close But No Cigar, the debut album of the Delvon Lamarr Organ Trio, reached number one on the U.S. Contemporary Jazz Albums chart? Do you have a question about Jazz that you can't find the answer to? For editor resources and to collaborate with other editors on improving Wikipedia's Jazz-related articles, see WikiProject Jazz.